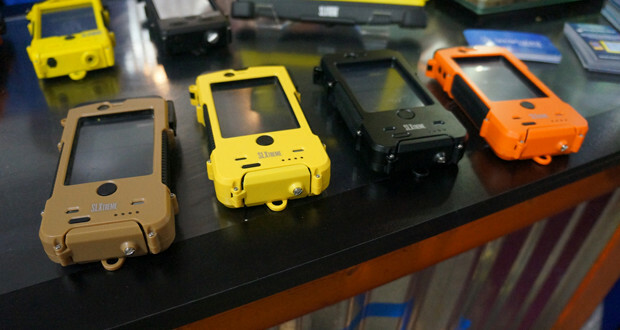 The Snow Lizard SLXtreme 4 will do it all, protect your phone from water, rugged terrain and losing battery power. The Snow Lizard SLXtreme case is made out of polycarbonate and will definitely withstand bumps or drops from 6 feet high. It is visually appealing and comes with a quick release latch making it easy to slide your phone in and out of the case. The Snow Lizard SLXtreme case has multiple battery sources and comes equipped with a 2,000 mAh battery that will double the life of your phone. It allows for 7 hours of talk time and a whopping 360 hours of standby time. It also comes equipped with a solar panel on the back that offers a trickle charge so as you’re out adventuring your phone is being charged by sunlight. If you are hiking or at the campsite it is easy to leave your phone in a position for the sun to hit it and give you extra battery power if you need it. The SLXtreme 4 is completely waterproof even up to depths of 6 feet. The phone is fully operational even allowing for underwater pictures. 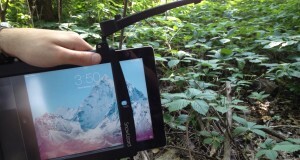 The case is well designed and is perfect for the adventurer in all of us. The SLXtreme 4 comes in four different colors: white, black, orange and yellow. The SLXtreme 4 is so popular that Snow Lizard will also be coming out with the SLXtreme 5 for your iPhone 5. It is due out in September and will have many of the same features but also adding an audio out jack to give users the ability to play music and talk. 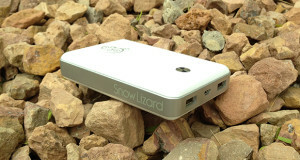 The Snow Lizard SLXxtreme iPad is a sister to the SLXtreme iPhone cases. 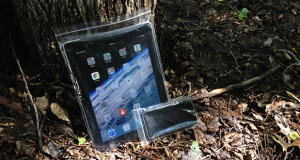 It is a rugged case, made out of polycarbonate, that will withstand 6 foot drops and is waterproof up to 6 feet. Who doesn’t want to take their iPad underwater? It is visually appealing and is easy to get the iPad in and out of the case.The SLXtreme iPad case will keep you charged for a very long time, it comes equipped with a 10,200 mAh battery that will double your battery life. The iPad case will not have a solar panel but it does have a lot of awesome features. 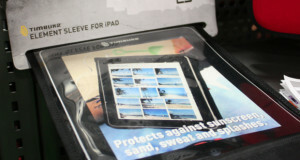 One of the coolest features of the SLXtreme iPad case is the USB out that is located on the bottom of the case. This allows for other devices, such as your phone to charge. Most devices that can charge from a USB will be able to be charged from the iPad case. The iPad case will be released soon!